Step one is to buy low. Determine what the base line is for an investment and bide your time until the buying price goes down below the reasonable level. This is the same time when people panic and sell as the stock market dips. That is your signal to hunt for buying opportunities. The best way is to buy an asset once the price drops substantially, waiting for a time when it climbs and brings a significant gain. Step two is to sell high. Ideally, the right time to sell an asset is when the price rises substantially. During such time of stock market growth, people are buying everywhere. That is the best time to sell in order to maximize your gains. With the money in your hand, you can then repeat the process by looking for a low-performing asset or any secure investment. Recover from your mistakes. No matter what you do, mistakes are bound to happen. Buying low and selling high, after all, is not a fool-proof method. Losing money happens wherever you go and whatever you do; so, try to roll with the punches and learn to pick up the pieces. After recovering from a hard fall or loss, slowly pace yourself back to your former condition by making some market gains through an index fund. Or perhaps, take time to evaluate carefully an investment prior to risking a sizeable amount of your money. Fear tends to terrify and immobilize a person and keep one from reaching your highest potential. Instead, let courage propel you to newer heights of success. Do self-evaluation. Assess all the past investments you have made and determine how you can obtain better results in the future. Writing down your thoughts and insights will assist you to clarify in your mind how to avoid future traps along the way. Moreover, a visible road map will help keep you from making decisions based purely on emotional fancies. 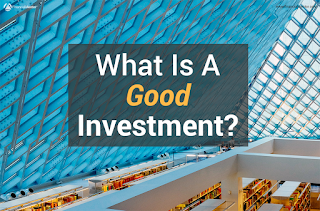 A professional investment expert or a financial planner and a tax planner can also help you evaluate your investment ideas, increasing the reliability and accountability of your financial plans. Establish a plan and stick to it. Losing big-time in investing can lead to much regret. Likewise, you may also regret not having invested in an asset that has soared beyond your reach. Planning well and doing meticulous analysis will help significantly in preventing failure. A written plan will also serve as a firm guide to prevent you from being easily swayed by people around you. You may also utilize the planning stage to fine-tune your main aspirations in life and determine how your finances will become instrumental in realizing them.